Was Paul a Doctrinal Watchdog? Next to Jude’s plea to “contend for the faith” (Jude 3), contemporary doctrinal watchdogs appeal to Paul’s confrontation of Peter in Antioch (Gal. 2:11-14) to endorse their confrontational style, caustic manner, and pugilistic rhetoric. I’ve heard this question many times: How can it be that the same Paul who urges his communities to be unified and to treat one another with grace would go after Peter in such a confrontational way in Antioch? And does this episode justify the conduct of those today who call out other Christians, condemning them for what they perceive as doctrinal deviation? Aren’t they just following Paul’s example? There’s much to say about this, but here are just a few thoughts about Paul’s confrontation of Peter. 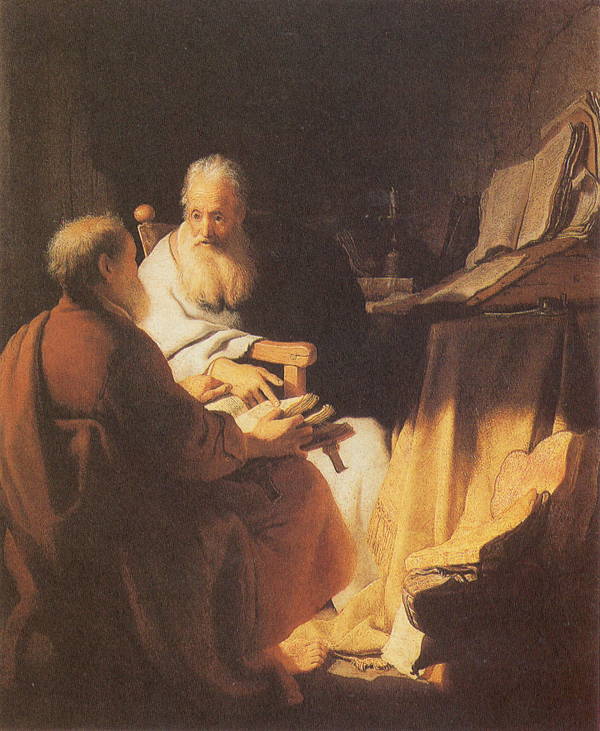 First, Paul confronted Peter over a perversion of the very core of the gospel. By his actions, Peter was sending the signal to the gentiles in the Antioch church that they could not be part of the people of God unless they converted to Judaism. Peter was breaking up the body of Christ and putting those for whom Christ died outside the bounds of God’s salvation. Peter did not get a formula wrong. There was no confusion over doctrinal definitions. He did not ask to revisit a settled dogmatic concept. He did not question a received interpretation of a passage. Paul and Peter did not disagree as to the relative emphasis of divine initiative and human responsibility. Peter’s actions sent a direct message to Christians sitting right there in Antioch that they were outside the faith because they didn’t share his ethnic identity. That’s why Paul confronted Peter. There were significant differences between Paul and the Jerusalem leaders (Peter, James, and John) over ministry style, strategy, and even doctrinal emphases. All of this was tolerable in the early church. None of these things were the issue. Paul did not stand for Peter’s flinching in the face of political pressure to claim implicitly that these gentile Christians were outside the faith. We need to keep this in mind in our day. Evangelicals need to learn to appreciate a breadth of ministry styles, mission strategies, and doctrinal formulations. Orthodoxy is far larger than some of our doctrinal watchdogs realize. It’s interesting that Luke doesn’t record anything about this event in Acts. Maybe that’s because it was actually a far more subdued confrontation than we imagine. Perhaps Paul carefully and graciously called the issue out and forcefully but kindly made sure that things were set right with as little disruption as possible. We can’t say for sure that this is how things went, but can we be so certain that it was otherwise? Did Paul really confront Peter violently, compromising his command to orient one’s conversation by grace? Third, Paul’s aim in his confrontation is instructive. Read Gal. 2:11 a few times. Why does Paul confront Peter? Grammatically, why does he do it? “Because he stood condemned.” According to Paul’s testimony, Paul confronts him in order to rescue Peter from the status of condemnation. Peter has got it dramatically wrong because he’s been intimidated by the visitors from Jerusalem and Paul aims to rescue him from his error. Paul’s desire to see Peter redeemed is quite instructive. Is this the aim of our contemporary watchdogs? Are they truly out to do good to others and to the Christian church? Perhaps they feel that their rhetorical violence is redemptive. That is simply a failure to think as a Christian. There’s a way of addressing others that doesn’t demonize them or put them in a place of condemnation. There’s a way of approaching issues that opens up pathways of redemption and doesn’t consign others to judgment. All this is to say that we are not on good footing when we appeal to Paul’s supposed example in order to avoid obeying his clear words to treat others with grace and kindness. I’m not convinced that Paul was really the church’s first doctrinal watchdog. I think the most important point is that Peter was creating division in the Church and Paul was pushing for unity. Today’s “watchdogs” are usually doing the opposite. Yes, exactly! That’s the irony!